As a group, millennials are known for their digital fluency, their expectations and their desire for meaningful work. Millennials have been credited — or blamed — for disrupting nearly everything from banking to the taxi industry, and now they are forcing employers to rethink everything, including the very nature of the workplace. Co-working “offices” are the latest innovation attracting millennials. For those new to the trend, co-working is a workplace style; co-working offices are shared spaces that are a mix of freelancers, contractors and remote working employees from a wide range of industries and positions. Although each co-worker pays for their own workspace, collaboration occurs naturally, making these areas creative incubators. 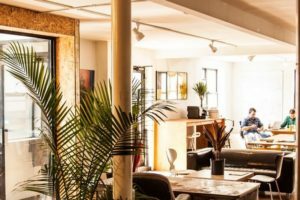 Co-working spaces can have monthly or yearly membership fees, or like one co-working workshop in Brooklyn, NY offered by my company, Spacebase, can sometimes be rented by the hour. Many companies offer these co-working arrangements. They negotiate with building owners who have unrented space and with companies that have unoccupied offices and unused conference areas. But it’s the communal open spaces in stimulating environments that best allow ideas to flow freely instead of falling flat in three-walled cubicle graveyards. Part of the allure of co-working is the community; being surrounded by passionate people in an open and creative environment. Freelancers, entrepreneurs, independent contractors and even job seekers connect and collaborate naturally while they grow and learn from each other. 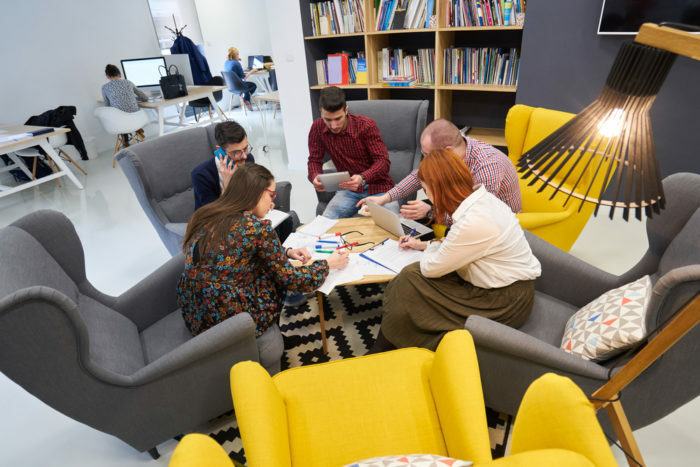 One of the reasons that millennials choose co-working spaces over conventional offices is the variety of style and atmosphere co-working offices offer. For example, Betahaus Café, a co-working facility located in Berlin, has been curated with diversity in mind. Members of the Betahaus Café have access to lots of different rooms and ambiances: ultra-mod or retro indoor offices, quiet or more sociable rooms, and even outdoor terraces and green spaces to help each member get work done in a way best suited for them. Spacebase picked a few co-workers to interview about their favorite aspect of co-working and their answers came back with a wide spectrum of reasons. 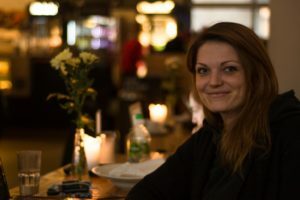 Marta Rechul, the blogger behind Tutor Compass, said she most appreciates having a variety of spaces to; she usually goes for open rooms with no hint of a traditional cube farm. She loves the range of co-working spaces available and being surrounded by an active community. But co-working spaces aren’t just for bloggers and freelancers; part of their magic is their ability to bring all types of people to neighboring desks. Glyn Thomas is a digital strategy consultant for More Onion, a non-profit digital agency based in London and Vienna. Not only does he rent out a desk when he comes to Berlin, but also works from a co-working space with his colleagues in London and Vienna. Co-working fits his business beautifully, as the company doesn’t have its own office and he spends much of his time traveling. With so many benefits offered by co-working, employees aren’t the only ones capitalizing. Corporations have begun seeing these shared spaces for the gold mines of creativity and innovation that they are. Companies such as Microsoft, IBM, HCL and Deutsche Bank have begun building “innovation centers” to expand their digital competencies. At these locations, these companies will be working together to support financial sector start-ups in an incubating situation; the companies provide co-working space to the new professionals in exchange for help expanding their digital banking presence and services. These companies recognize the value of supporting employees in these hyper-innovational and creative solution centers. The rising popularity of co-working spaces is prompting companies to adapt their existing work space, seeing that the combination of a well-designed workplace and a comfortable work experience makes a difference in employee performance. Generation Y may be responsible for demanding more from the workplace, but it’s all with a greater aim in mind — diversified collaboration, easier and more frequent networking, and of course, the finished product, high quality work from happier employees. Hi! I'm Tessa Anaya, the English content creator at Spacebase. We are an online booking platform for unique meeting rooms and workshop spaces. If you're looking for a cool or interesting space for your next meeting or event, come check us out! If you'd like to check out some of my other blog posts, feel free to have a look here.